Our studio offers full horological conservation services for mechanisms and cases of 17th-19th-century clocks, cases, scientific instruments, and barometers. Anything from basic cleaning to wheelwork to platforms. 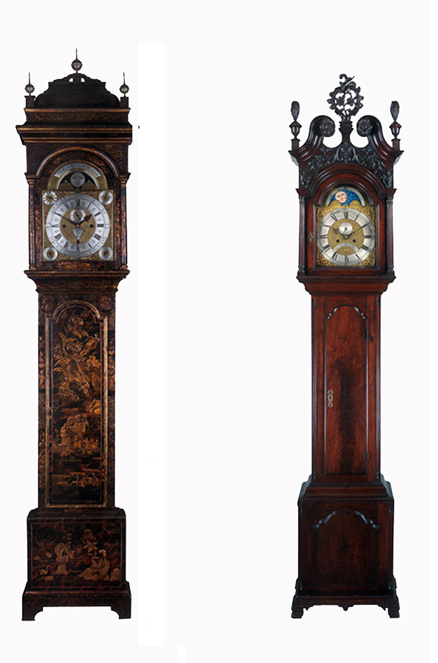 Casework for clocks involves polishing, marquetry, sculpting, chinoserie, gilding to metal surface conservation. We offer a full-service forensic laboratory for authentication. Scholarship and connoisseurship are paramount to our approach, whether it be an uninformed client or one of educational seminars.